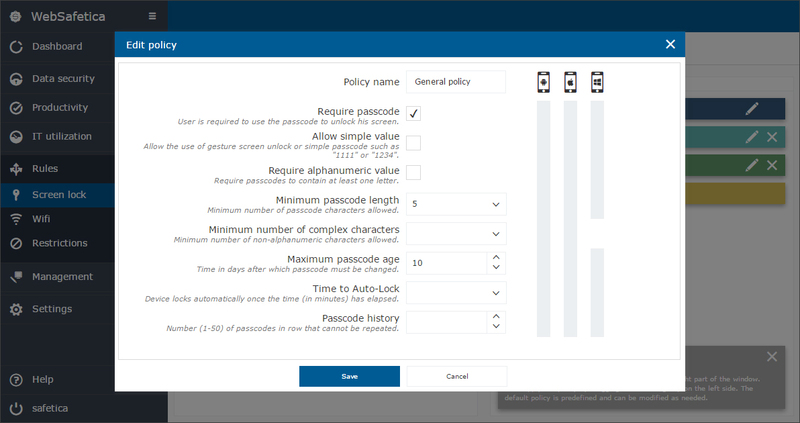 Safetica’s Mobile Device Management (MDM) tool increases data security on mobile devices and helps you monitor and manage company devices from one location. Automatic set up of mobile devices saves you time. No need to manually configure mobile devices. 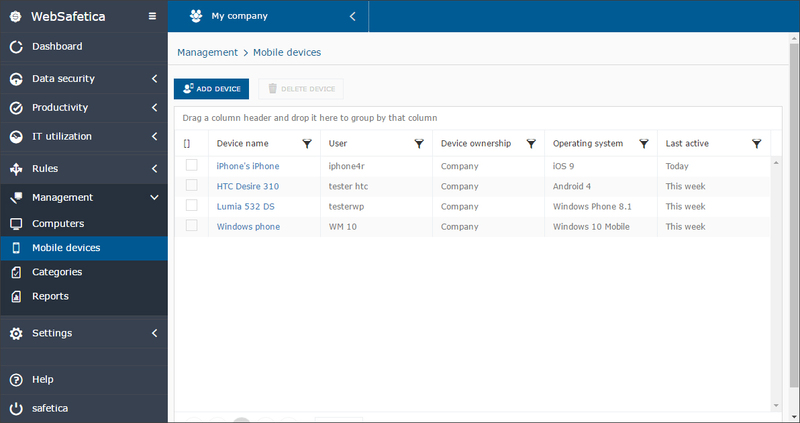 You can check all company devices and discover security risks in a single glance. Find out about the current state of devices, OS versions, or about which device belongs to which user. You can add a new mobile phone or tablet in just 3 clicks. It’s a fact: company mobile phones get lost. Instead of constantly replacing lost phones, you can invest in something much smarter. Safetica helps you find lost devices and if it turns out that they have fallen into the wrong hands, Safetica lets you remotely wipe all of your confidential business data. With Safetica, what’s yours stays yours. Setting up company mobile phones doesn't have to be time consuming. All you have to do is define common rules for device groups, and the rest is automatic. 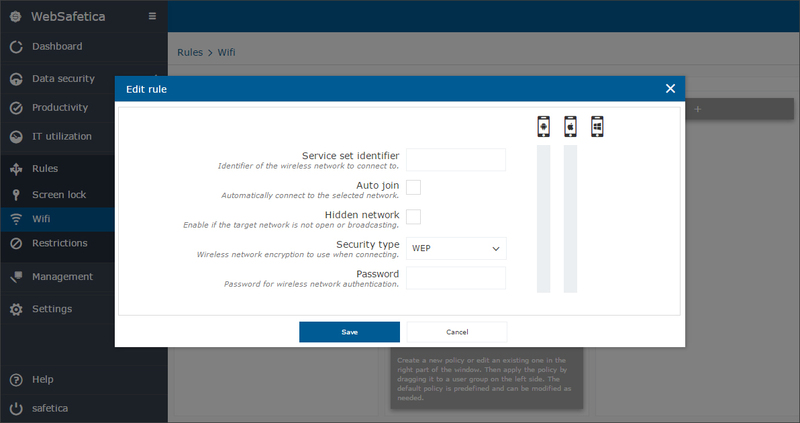 Remotely set up company accounts on mobile devices and make company email boxes and wifi networks accessible to employees, without having to send passwords through Skype. When an employee leaves your company, all you have to do is delete their email account — all work-related emails are also deleted. So you can be sure that your critical data remains your asset, not theirs. Safetica Mobile supports the most commonly used mobile platforms. And with a native link to Safetica DLP it allows you to protect your whole company - computers, laptops, mobile devices – all from a single place.